Since 2006 we have been operating exclusively at the port of Kehl with Euro Terminal Kehl GmbH. Together with our partners Klumpp + Müller and Haeger & Schmidt Logistics, we offer a complete service portfolio here in container logistics. 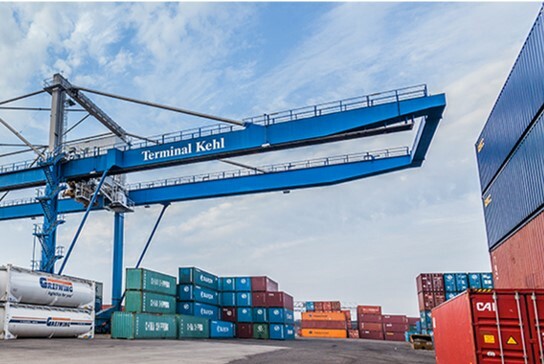 Besides the terminal’s excellent connections via the Rhine and rail to Antwerp and Rotterdam, the Euro Terminal Kehl distinguishes itself with local expertise and many extra services for example stuffing/stripping of containers and storage possibilities. 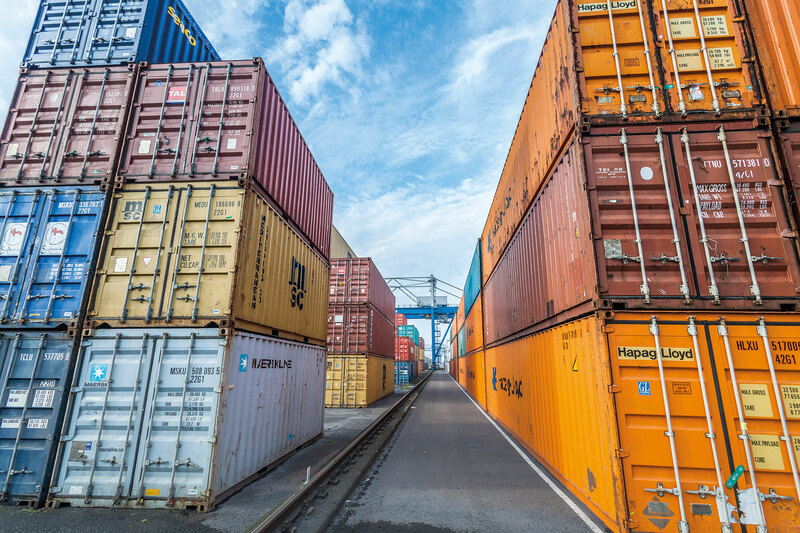 On a site of 50,000 m², 1,000 m quay length and 1,700 m rail length (distributed across four platforms) are available for the fulfilment of all efficient container loading needs. Three cranes and three reach stackers ensure short processing times.